For Iyengar Yoga practitioners to deepen practice, skills, knowledge, and (optional) teacher education. This week long intensive includes four asana classes and two pranayama classes.This three hour class from the intensive includes a wide range of inversions and backbends as outlined below. 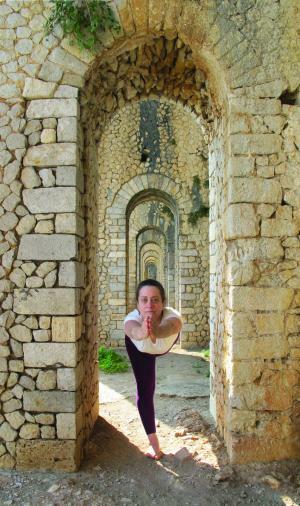 A minimum of two years study in Iyengar Yoga with a certified teacher is required. IMPORTANT NOTE: Not all of the classes from this week long intensive were recorded. We apologize for any inconvenience. Purchase the entire workshop from this and several previous years for at least 25% off the cost of the individual classes. Download the Entire Intensive Here.